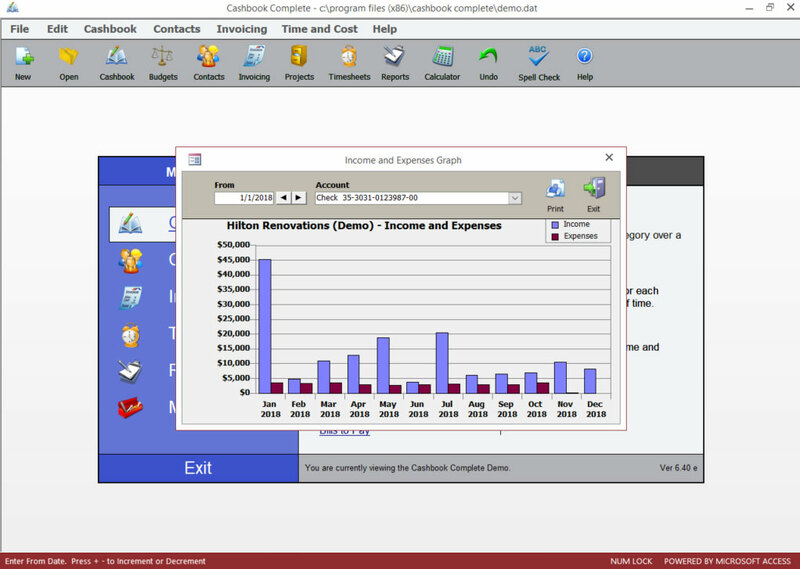 Easily reconcile your income and expenses with your bank account. 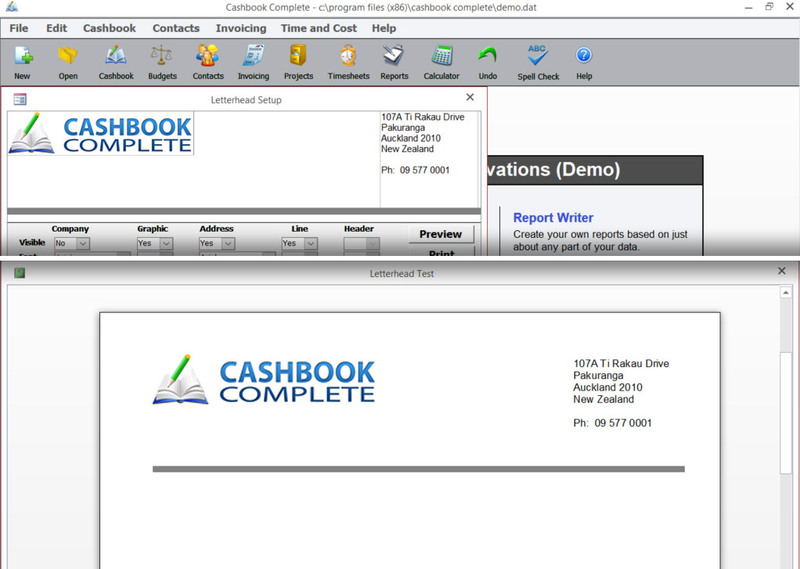 Download your bank statements and import them into cashbook with ease. 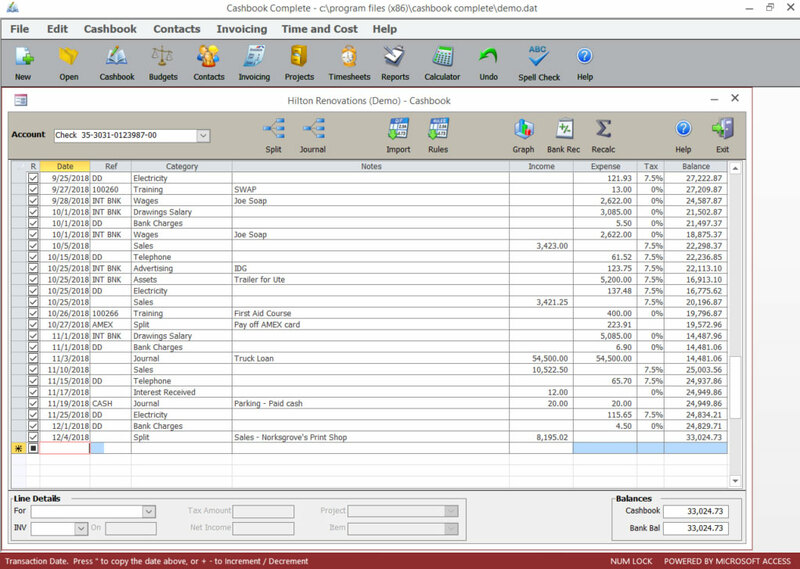 Simply set up your budgets, and then track your progress. 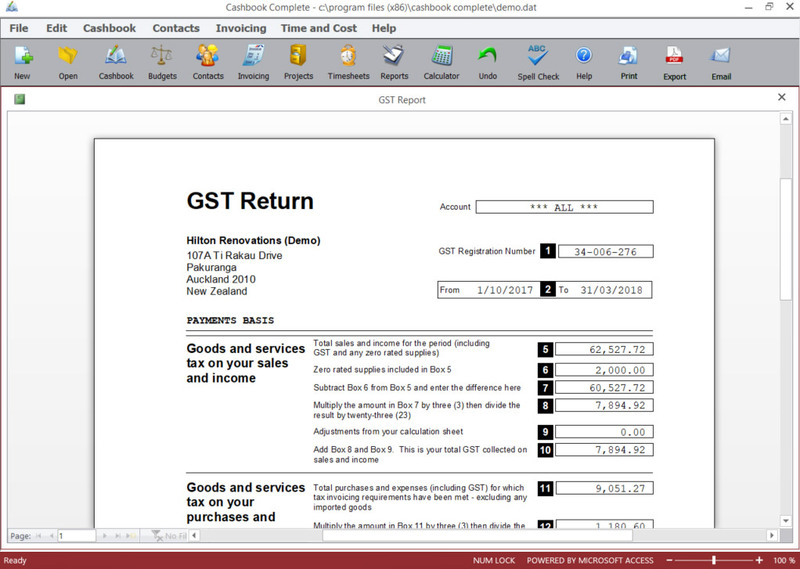 Simply print our your GST/VAT returns! All the hard work is done for you. 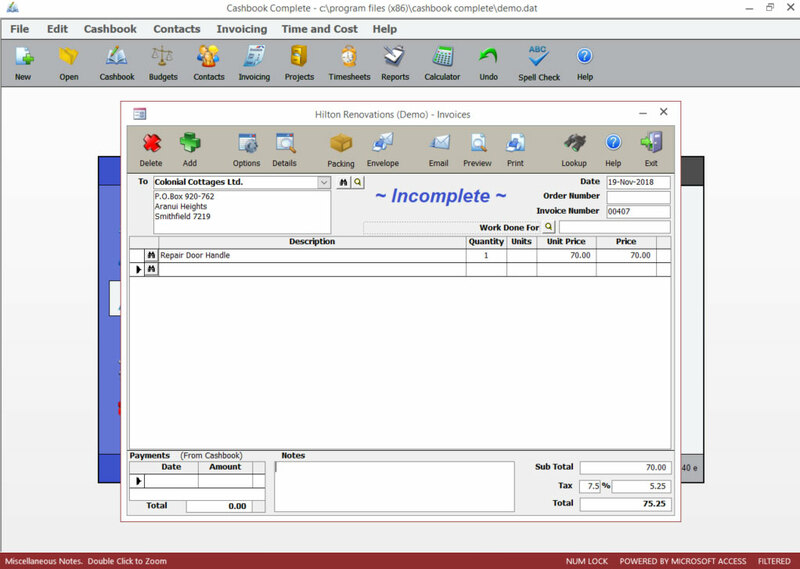 Generate invoices in no time with flexible options for any business. 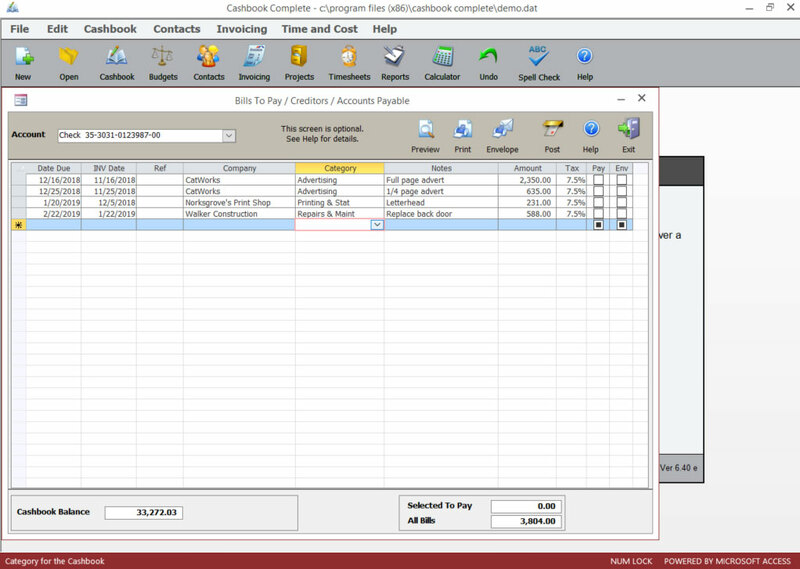 Keep track of any upcoming bills you need to pay. 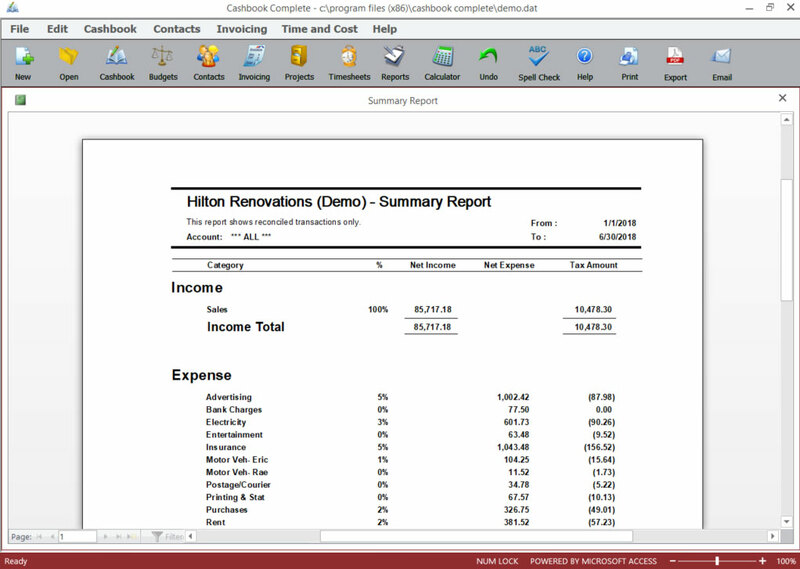 Get an overview of your income and expenses at a glance. 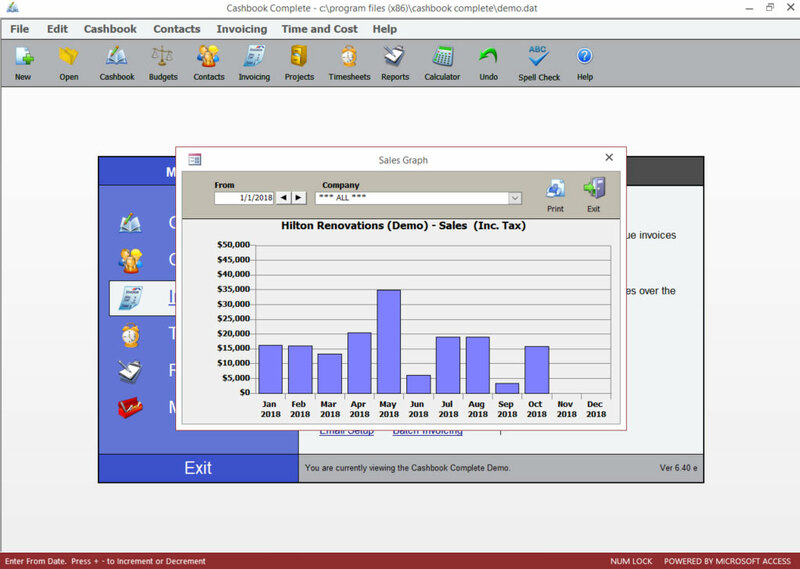 Compare monthly sales quickly and easily with the sales graph. 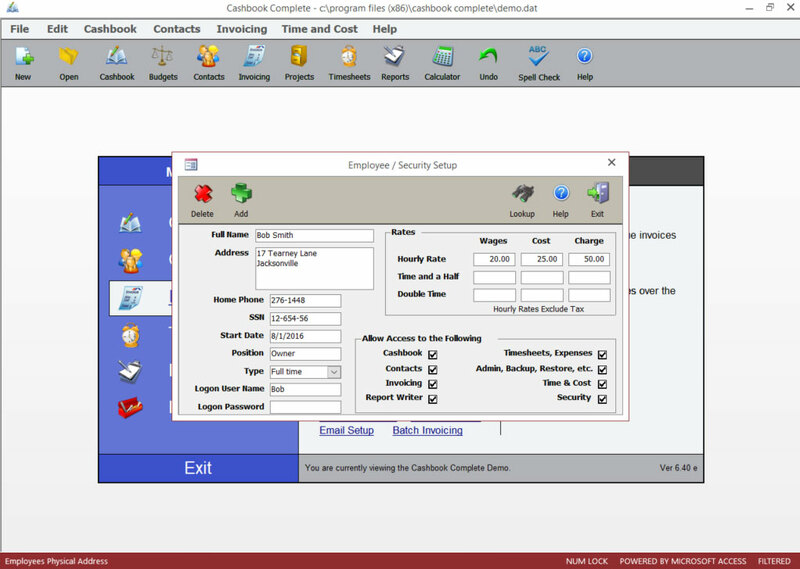 Mange your employees’ details and restrict access to certain features. 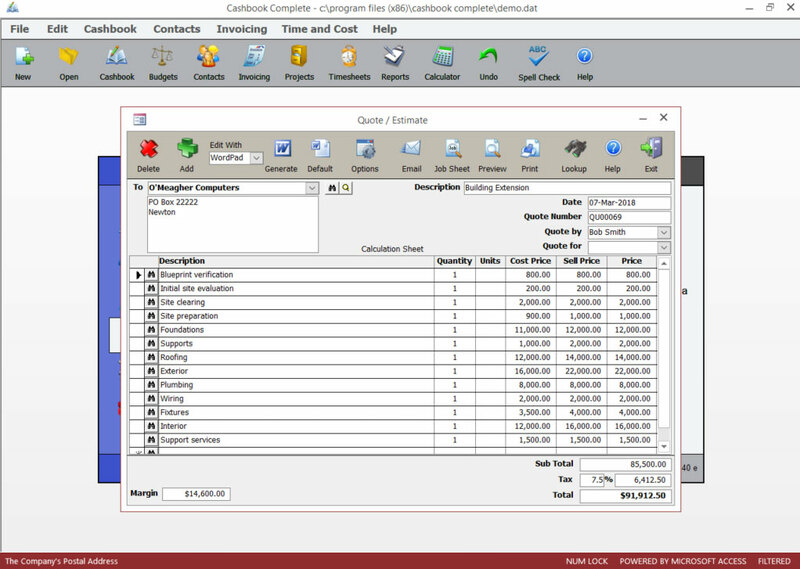 Prepare a quote/estimate and convert it into an invoice with a couple of clicks. 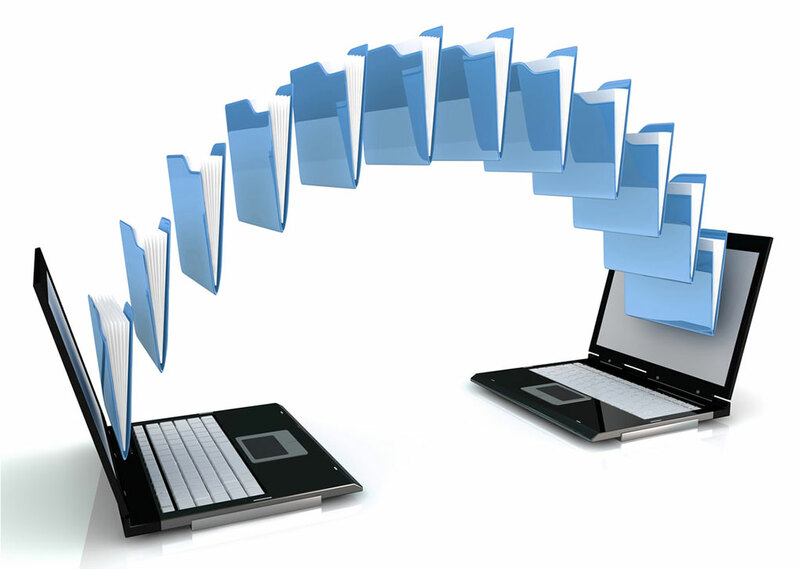 Keep track of your projects and monitor your job related costs. 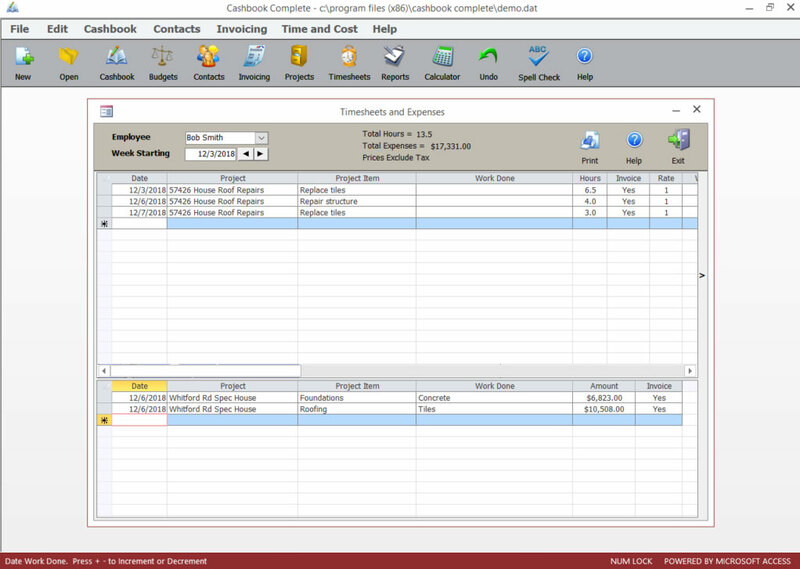 Track the time and money you spend on your projects and jobs. 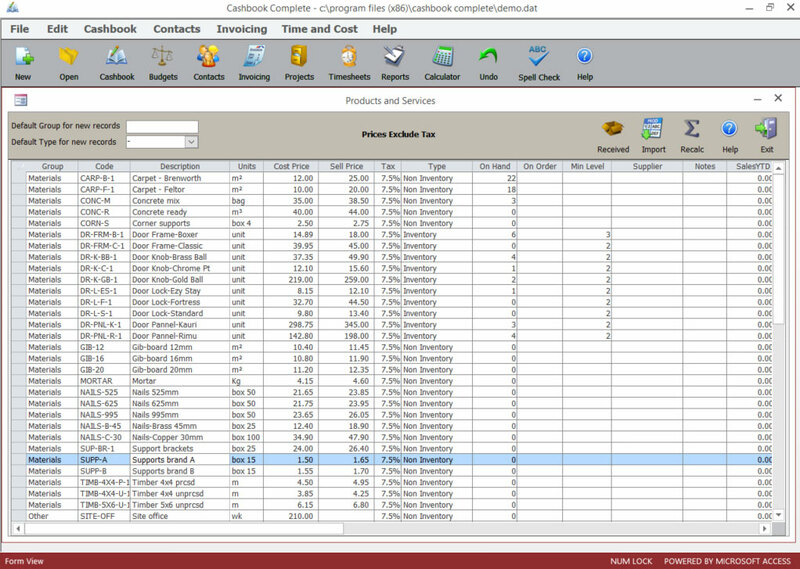 Manage your inventory items and handle stock with ease. 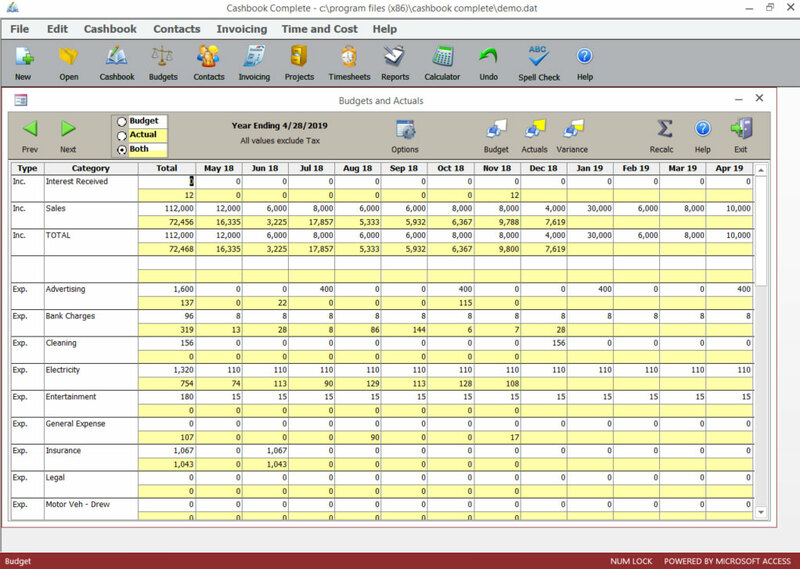 Choose from many standard reports or make your own in the Report Writer. 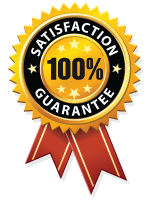 Customise your letterhead for invoicing, quotes, statements, etc. 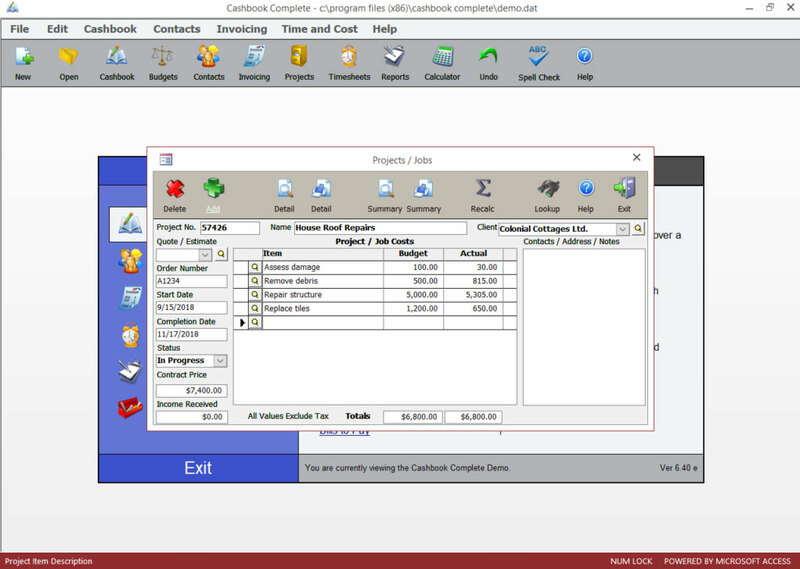 Share Cashbook over a network or cloud service for multiple users. 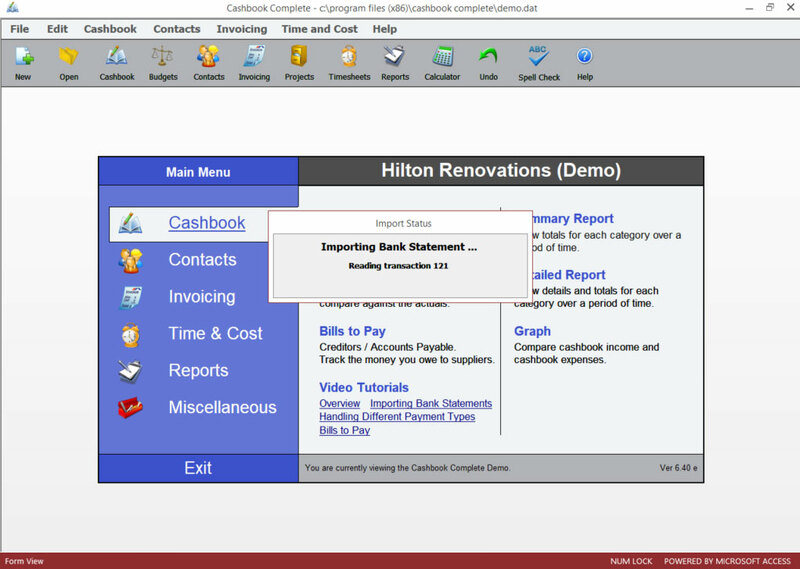 Cashbook Complete’s ease of use is our most common compliment. 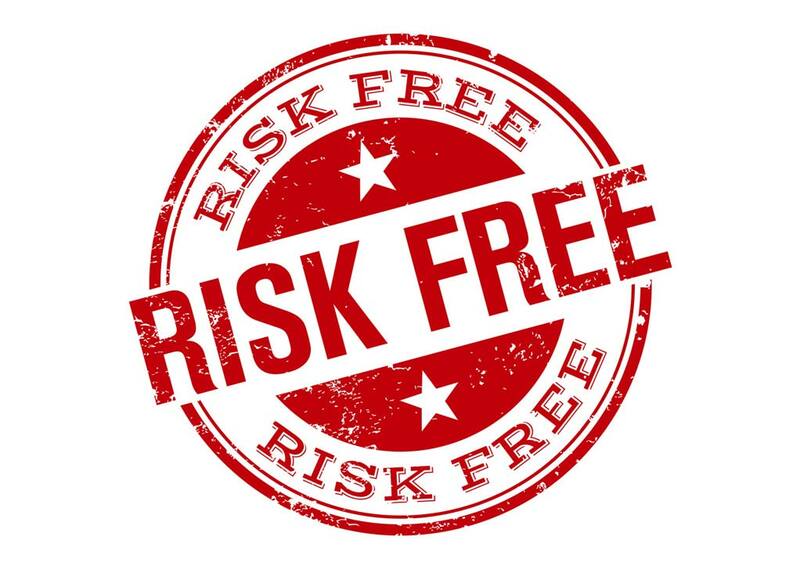 You can “try before you buy”, and register only if you find it suitable.